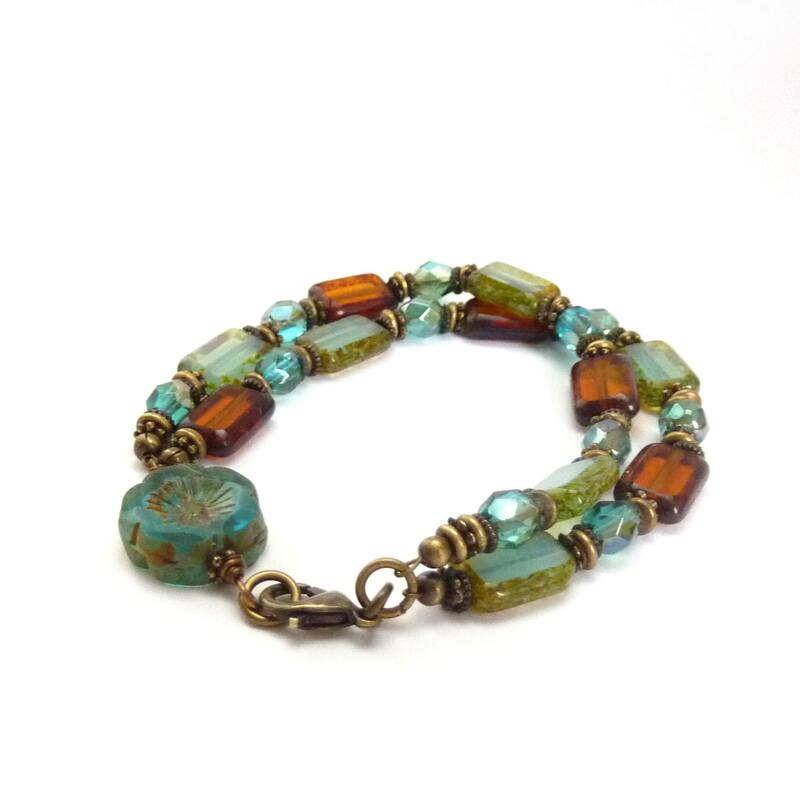 Luscious combination of pale blue and amber brown Picasso glass beads; this multistrand boho bracelet has two strands of table cut rectangle beads with darker celsian blue round beads throughout. They attach to a wire-wrapped glass flower bead which creates the focal point of the bracelet with a small bronze clasp that closes it. This is a great piece to wear every day alone or stacked with other bracelets.